I was excited to see Mashable post on Google Plus this morning that Google Plus Business Pages were shortly going to be available. As you will know if you are interested in social networking at all, Google Plus is Google’s latest effort to go social and has been hailed a success with many people signing up for this new service. However, Google was anxious to avoid people signing up to Google Plus as companies and several people who created business Profiles (instead of personal Profiles) were apparently removed. After a tantalising delay, Google Business Pages finally went live today and I went and built one immediately. You will need a Google Plus account, Google will help you create one if you haven’t got one so you can build your Google Business Page straight away. Your Google Plus personal profile seems to have the same relationship to a Google Plus business page as a personal Facebook account does to a Facebook Business Page, ie you will need a personal account to create a Business page and will have to log into your personal Google Plus profile to manage it. There are several categories of business page, including Product or Brand, Company, Institution or Organization, Local Business or Place, Arts, Entertainment or Sports and finally Other. I went for Brand although Mimimyne could also have been listed as Company or as Local Business (I chose not to do this as I already have a Place listing on Google and my business mainly trades online). These may be editable at a future date, at the moment they don’t appear to be – I hope this will be changed at some point as it is easy to choose something you might want to change later! The next thing to do is choose your tag line (up to ten words), Page name and upload your logo. The logo space is small and square, like a profile photo, so you might want to resize and edit your logo before you upload it. I used a cropped image from my logo which I’ve used a lot before, for example on my Twitter page, so I feel it is familiar to my customers. Like Google Plus profiles, the Google Plus business pages have a Scrapbook section where you can put five photos that represent your business. You will find this in the Edit Profile section, just below your tag line, where you are asked to add photos. These will remain on your profile till you edit or change them, as far as I can see, unlike the Facebook Business Page photos which update dynamically according to which photos you have recently added to albums. The next thing to do on your Profile is add your Introduction (they are quite generous with space here and there are no warnings against using promotional text as there are on Dmoz, for example, but remember to add your keywords!). You can add Contact info including your email, phone, physical address, Skype and Google Talk chat names etc as well as fax numbers and anything else you might need. These all appear on a drop down menu so make sure you check and fill in the ones you want to fill in! You can also set your privacy here (to anyone on the web, or just people in your Circles, for example) although most companies will want this information set to Public. Finally, you can add photos and posts as you would on a Facebook Business Page. You can’t add people to your Circles until they follow you, which is one thing that makes this quite different from a Google Plus profile page, so Google encourages you to share your page on your personal Google Plus stream and link to it from your business website to encourage more followers. 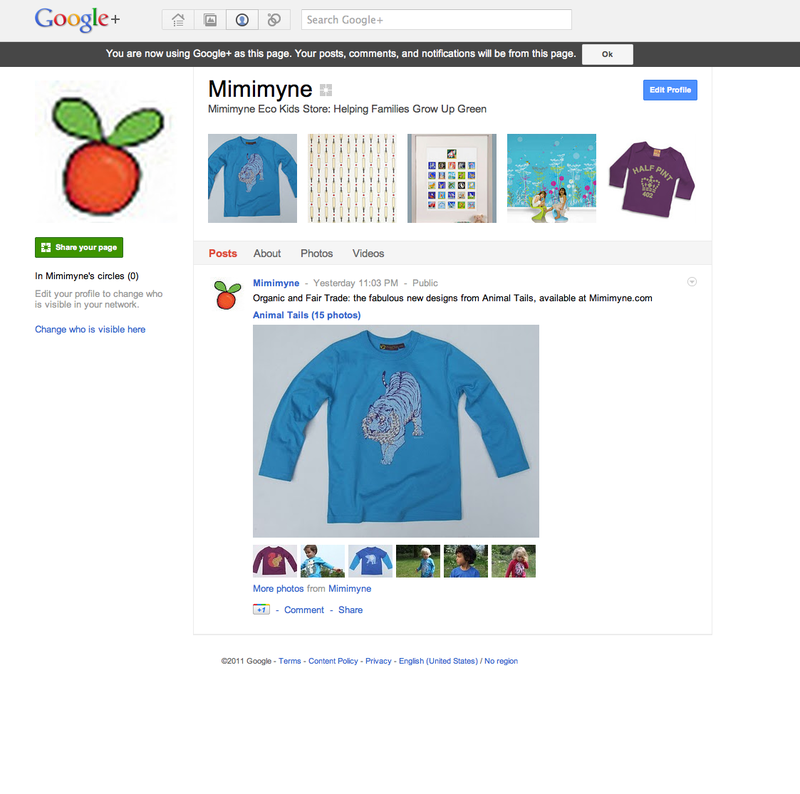 Check out Mimimyne’s Google Business Page and please add it to your circles! Hi Vapes! I'm so glad you found the post helpful. Log in to your personal Gplus account and you'll see your name and profile picture on the left hand side of your Profile page. If you click on your name you will see a drop down menu allowing you to select your page. There will be an option saying Manage your Page. You can use this drop down menu to toggle between your personal Profile and your business Page. Once you have logged into your page you can edit the information you have put in by going to the Profile tab at the top of the page (image of a person inside of a circle) click on this and you will see a blue box on the right hand side of the screen saying Edit your Profile. You can use this to change all your basic information. hi Tabitha, great post! 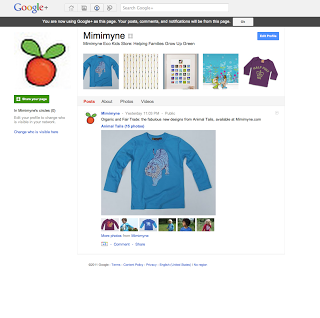 – I found your post by searching for "how to edit my Google+ business page" I created last nigh. I a bit puzzled how to do that. I've made a typo and did not put all the information last night hoping I would be able to update later on. But still can not find how to switch to the edit mode 🙁 Any suggestions?